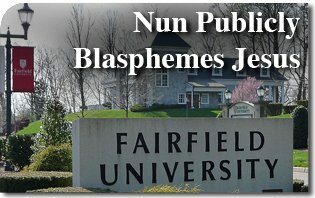 Dissident nun, Sr. Jeannine Gramick, who blasphemed Our Lord Jesus and Saint John as homosexuals is scheduled to lecture at Catholic Fairfield University. Sr. Jeannine Gramick is scheduled to lecture at Catholic Fairfield University about The Care of Souls: Sexual Diversity, Celibacy, and Ministry. She is co-founder of New Ways Ministry and was permanently forbidden by the Congregation for the Doctrine of the Faith from doing any ministry work involving homosexuality. So this lecture at Fairfield is a direct disobedience to a formal directive from the Congregation for the Doctrine of the Faith. This statement is such a grave abomination and such a terrible blasphemy against Our Lord Jesus Christ and Saint John that I am speechless. I am appalled and I am sure that you are too. Moreover, that Sr. Gramick, who is forbidden to be involved in any pastoral work with homosexuals, is publicly invited to lecture to Catholic students at an officially Catholic University defies understanding. As lay Catholics, we must offer our most fervent act of reparation to Our Lord Jesus Christ for this sin. They will deny and contradict basic Catholic moral values. If nothing is done to oppose this sinful lecture series, many young souls will be scandalized. That’s why we pray you join this act of reparation and peaceful protest immediately. 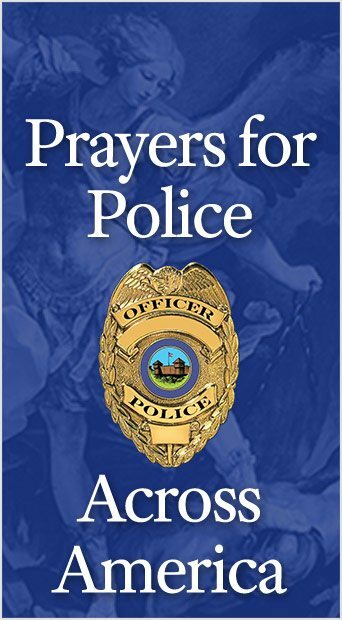 This entry was posted in Anti-Blasphemy and tagged Catholic Church, Catholic Fairfield University, Catholic morals, Catholic universities, Nun Publicly Blasphemes Jesus, public blasphemy by TFP.org. Bookmark the permalink.